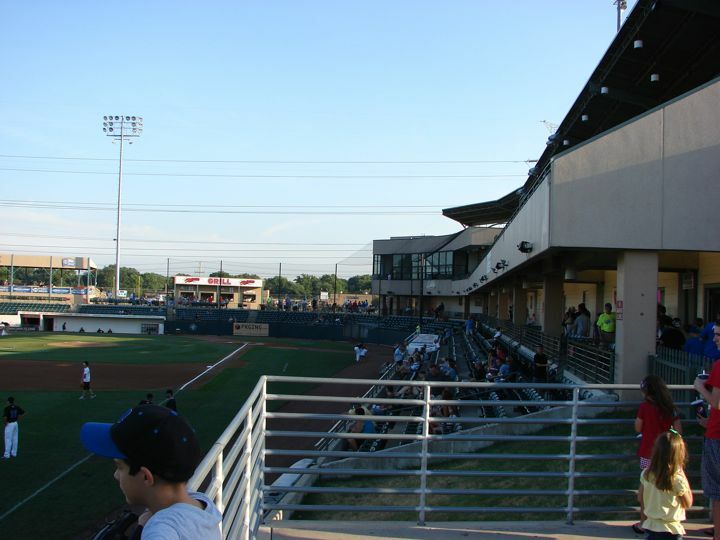 This was a return visit to the ThunderBolts. 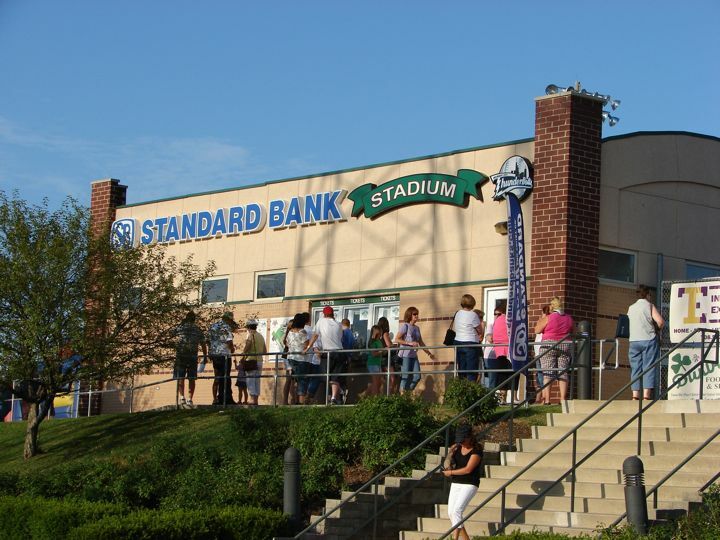 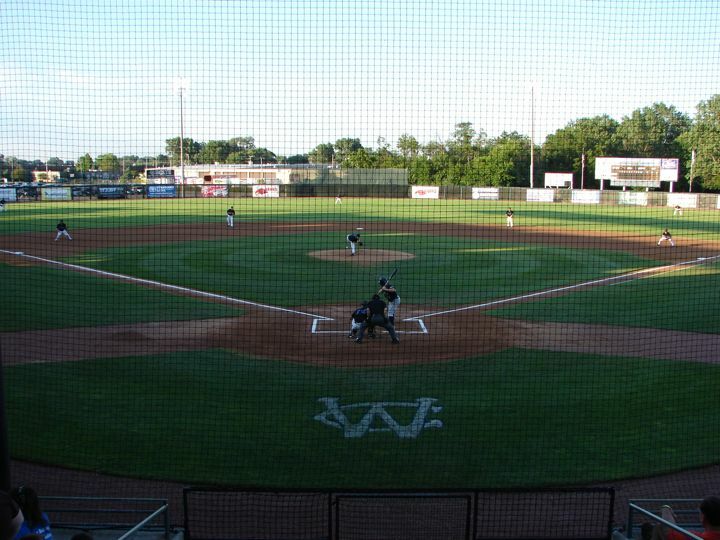 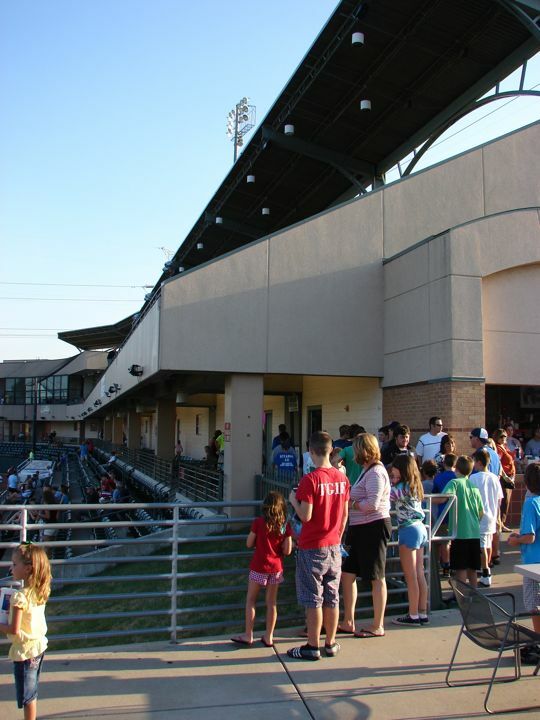 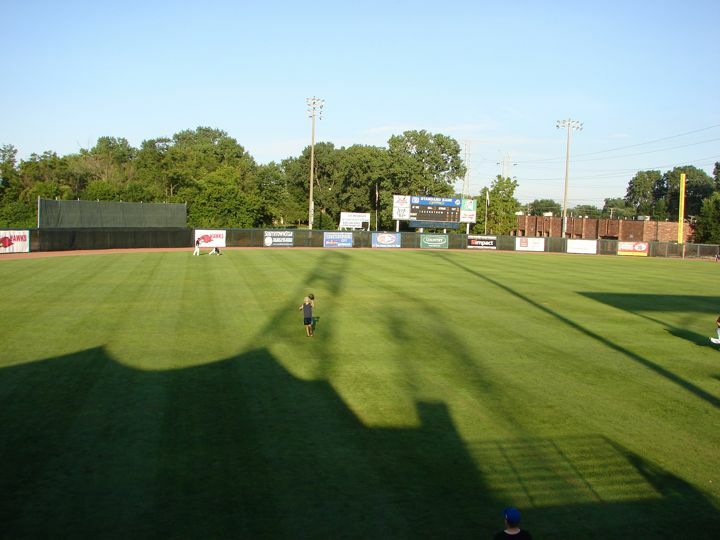 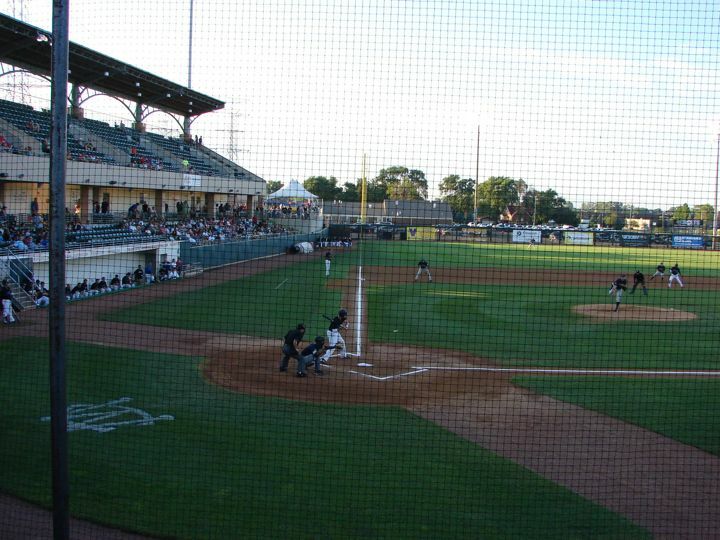 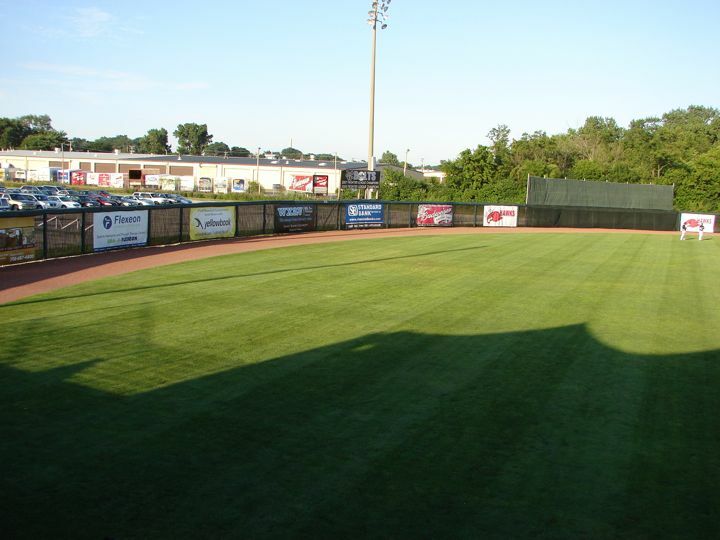 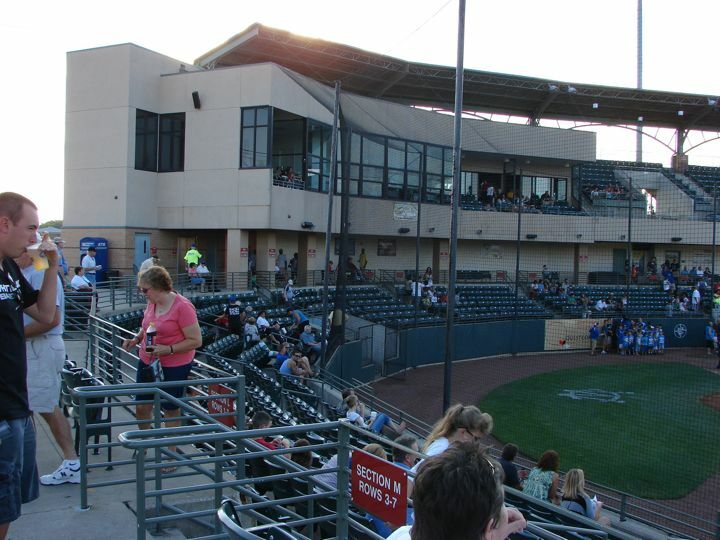 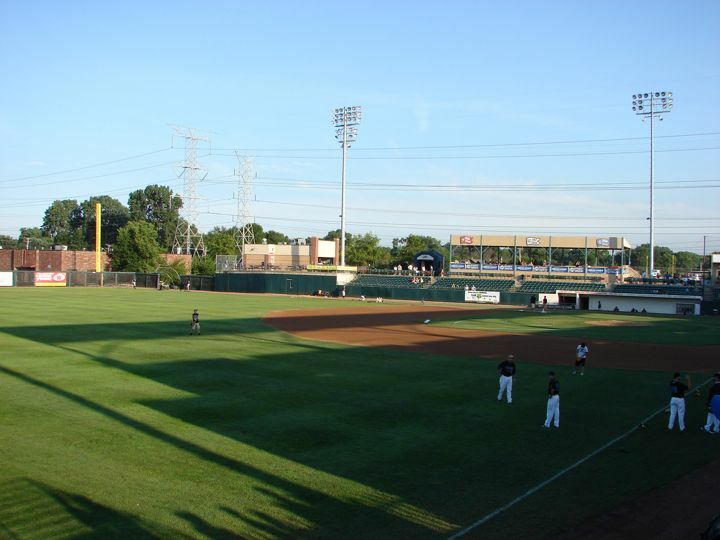 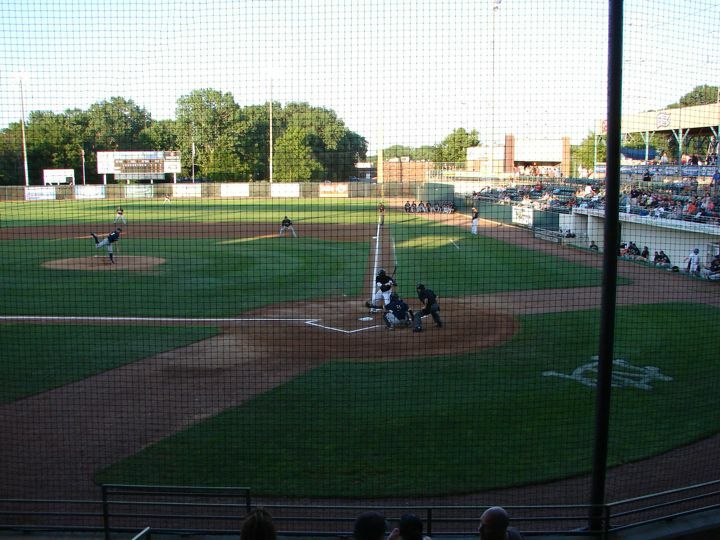 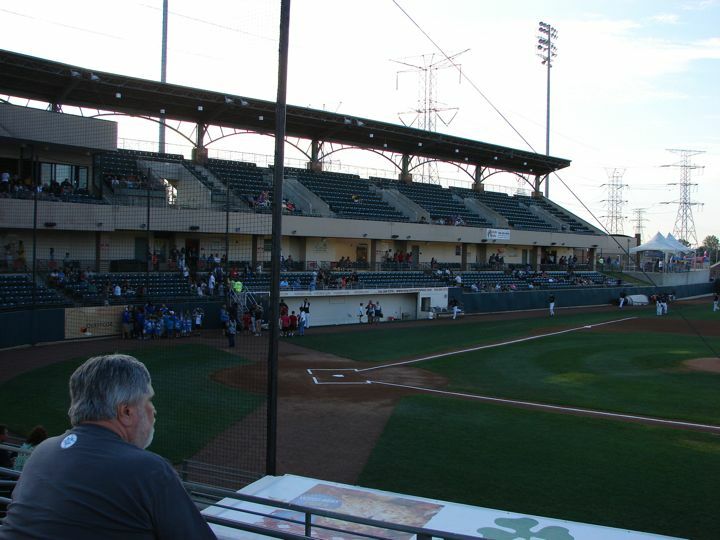 The Windy City ThunderBolts, a Frontier Independent League team play at Standard Bank Stadium, which was built in 1999 and seats 3,400. 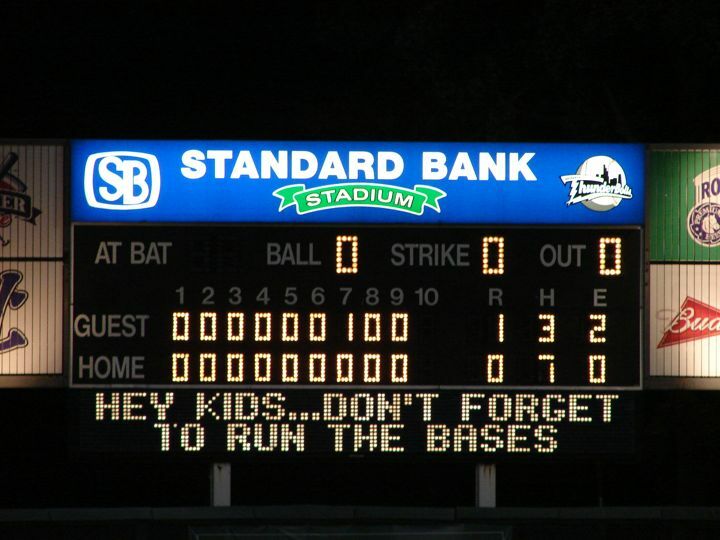 They were playing the Traverse City Beach Bums and lost a 1 to 0 shut-out. 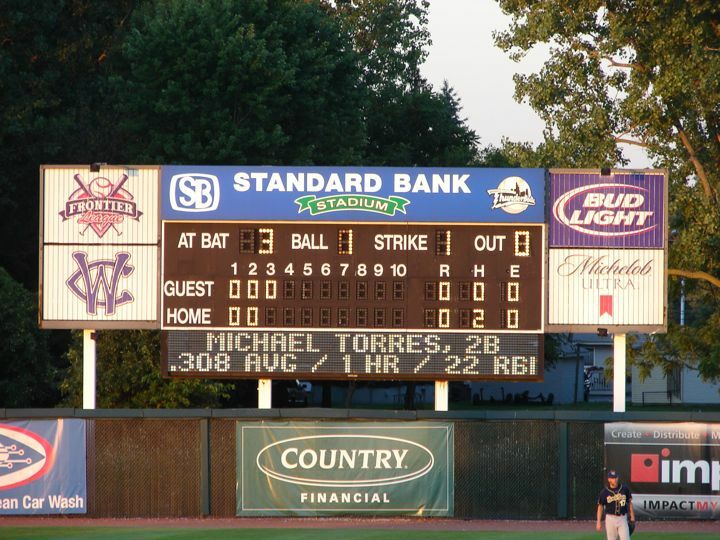 The box score as Beach Bums R-1, H-3. 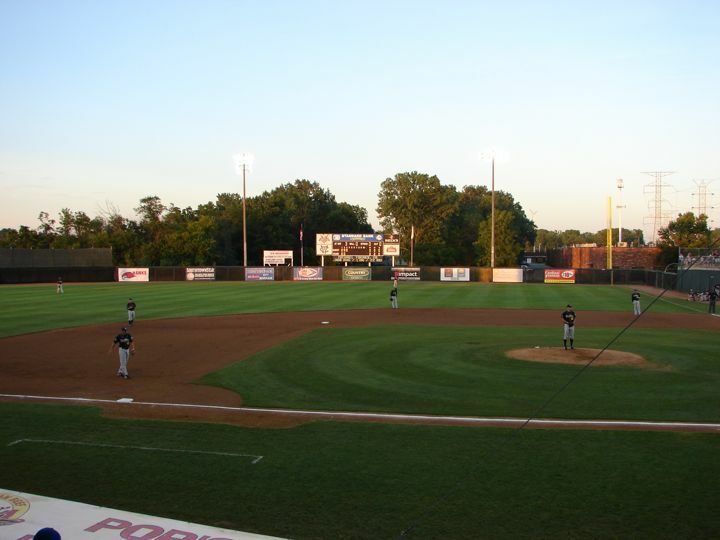 E-2 Thunderboldts R-0, H-7, E-0. 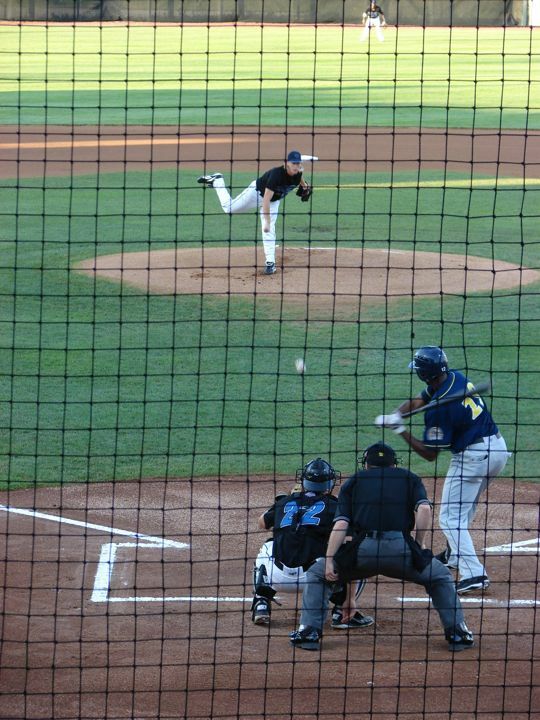 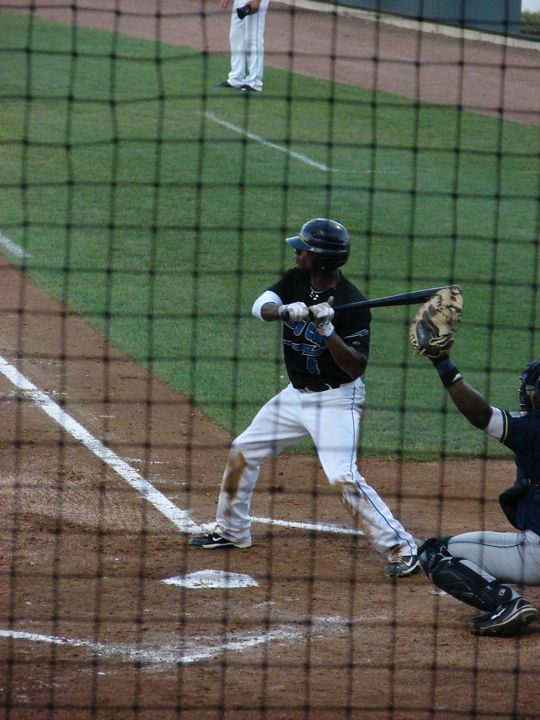 The ThunderBolts with more hits, just couldn't get a run across homeplate. 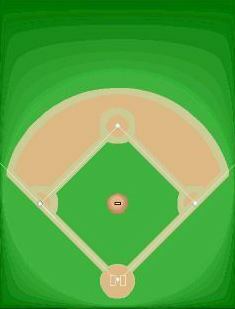 The field lines are RF & LF-330' and RC & LC-375'. 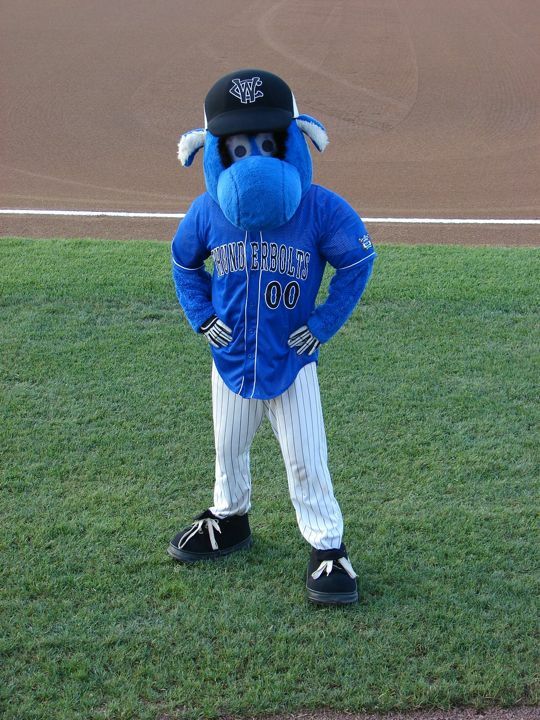 The mascot is Boomer. 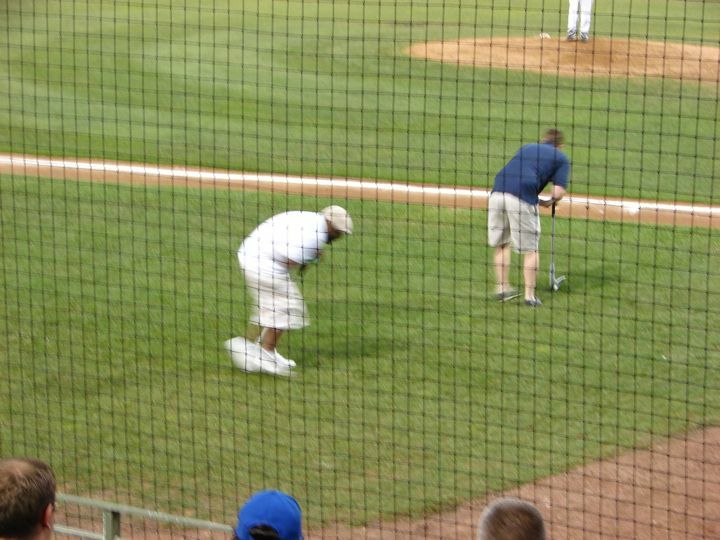 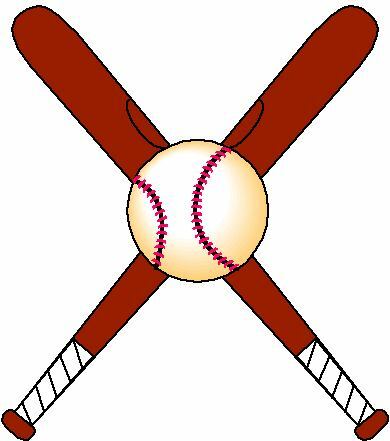 Instead of a dizzy bat race they have a dizzy golf club race where after spinning the contestants try to hit a large golf ball with an oversized club. 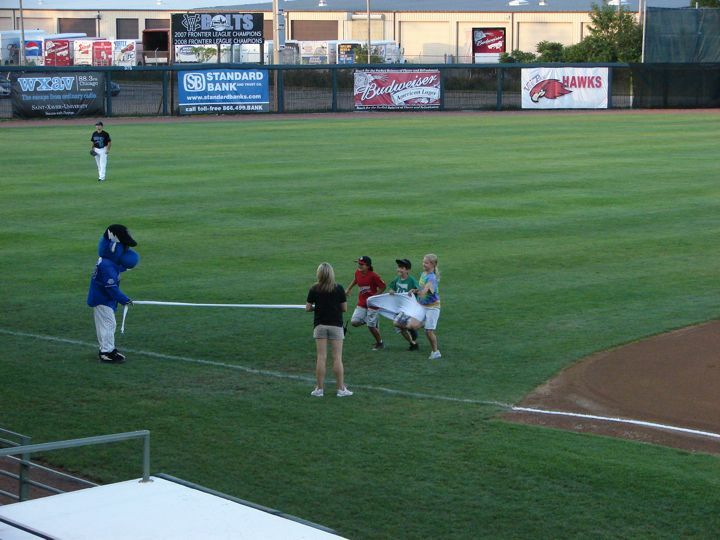 They have a six-legged underwear race with three children involved.